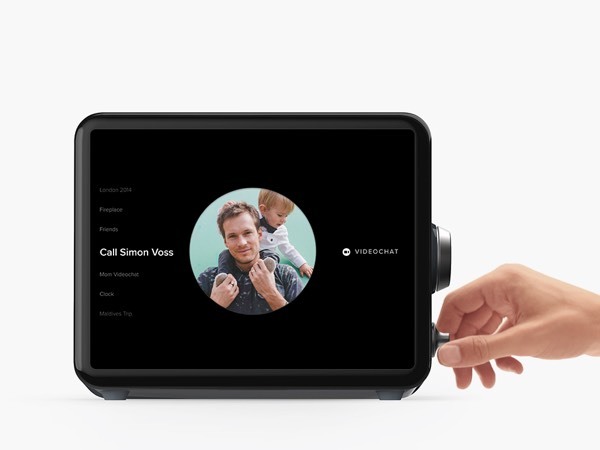 Videochat lets you easily call your family’s Loops with the turn of a knob. You can setup videochats between your own Loops (on your account), or with other people’s Loops. You can also call and receive videochats from your phone. 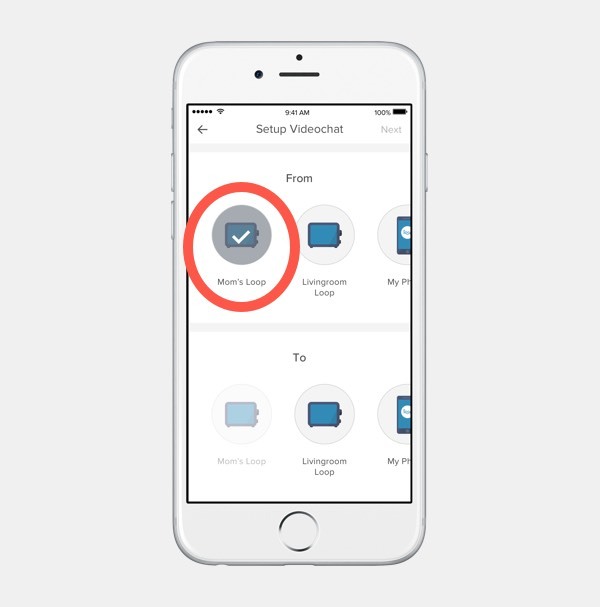 To set up a videochat channel, tap the videochat button on the lower menu. You’ll see the following screen when you haven’t made any videochat channels yet. Click the create channel button to get started. 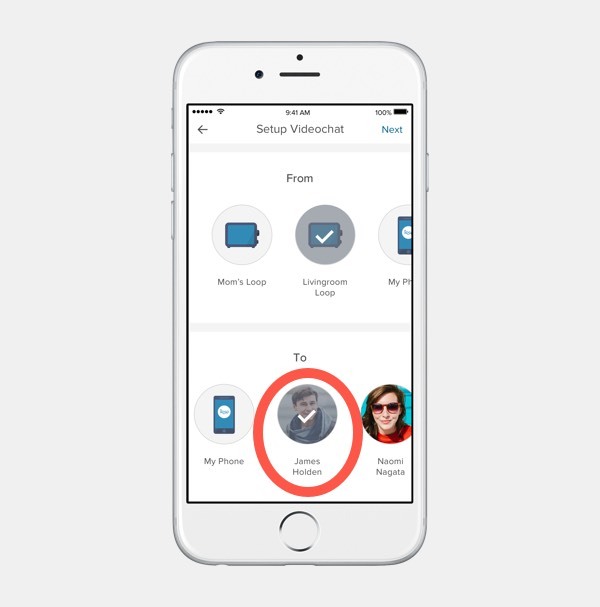 This first section will cover setting up a videochat between two of your Loops. 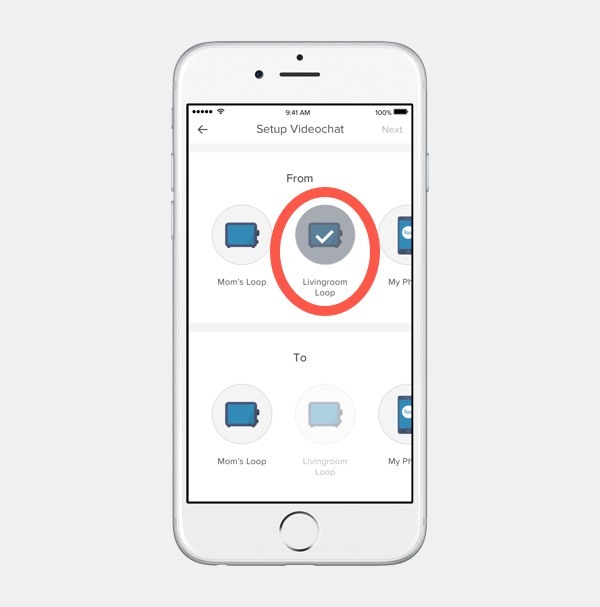 In this example we’ll set up a videochat between the Livingroom Loop and the Loop you’re giving to your Mom. 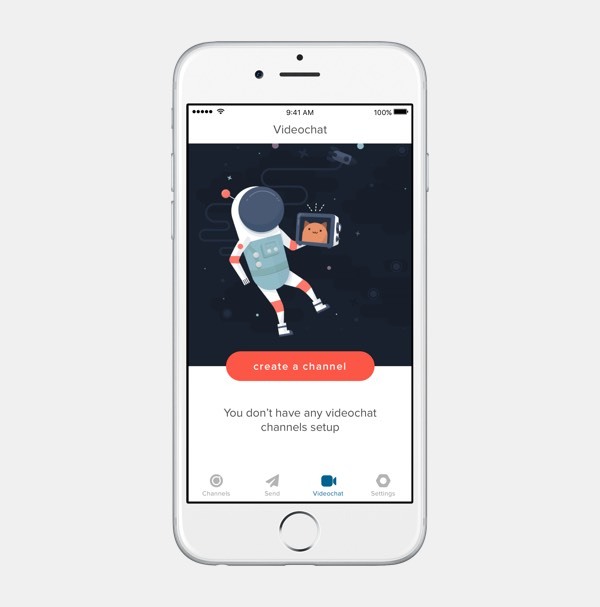 This first screen shows all of the Loops you can create a videochat channel between, including your phone. Start by selecting one Loop you’d like to connect in the ‘From’ section. In this example we’re start with Mom’s Loop. Note: You can select either Loop in the ‘From’ versus ‘To’ section. The order doesn’t matter because either Loop can call the other once the videochat is setup. Now choose the second Loop you want to connect. In this example we’ll select Livingroom Loop. Your videochat channel is ready to use! 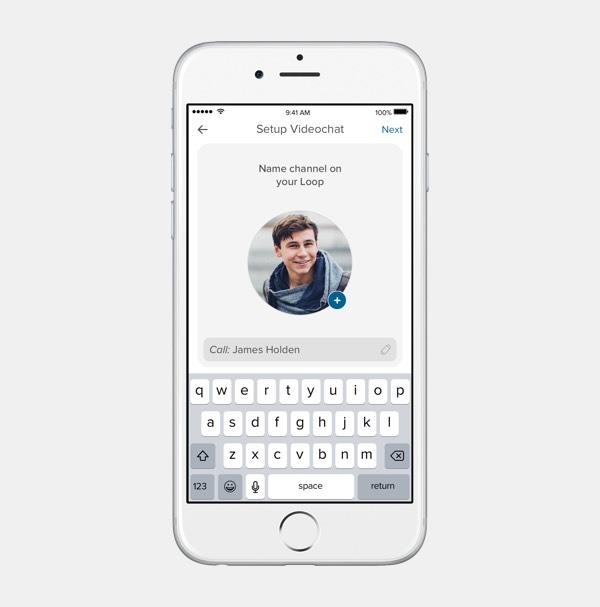 You can now make videochat calls between your loops. 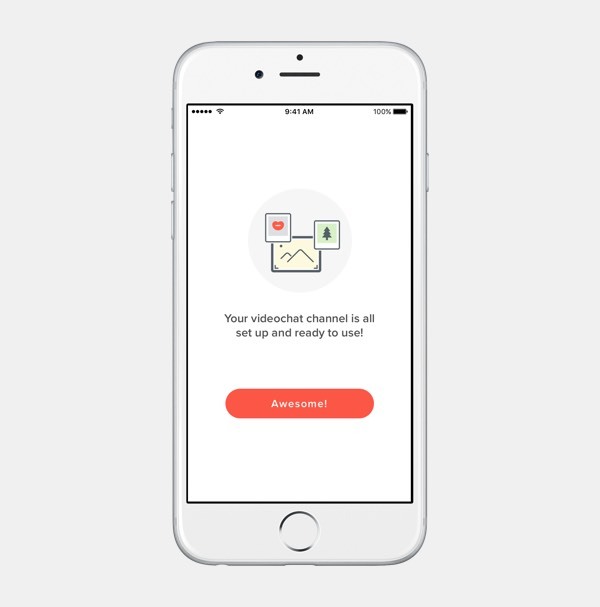 You can also create videochat channels with another person’s Loop account. 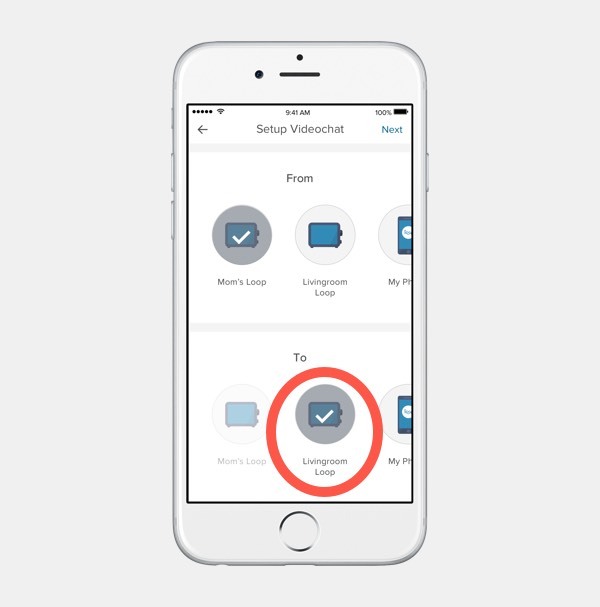 In this example we’re going to setup a videochat channel on the Livingroom Loop and connect it to a family member with their own Loop account. Note: If you don’t see anyone under Loop contacts you’ll need to invite them into another channel first before making a videochat channel with them. Select the person you’d like to create a channel with. Unlike your Loops, these people will show up with either their portrait or initials followed by their name below. In this example we’re selecting ‘James Holden’. Choose a name for the channel as you want it to show up on your Loop. 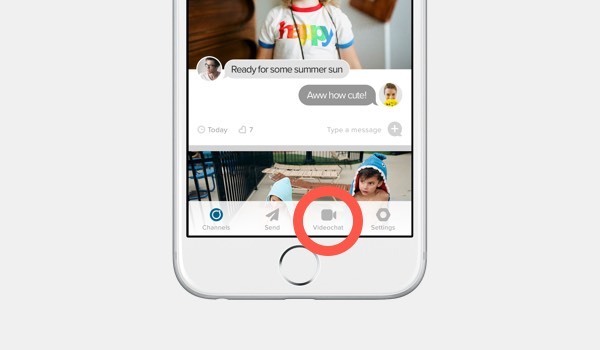 You can also add or change the photo of the person you’re calling by tapping the + button. This is the photo that will show up in your channels screen. Your videochat channel is ready to use! 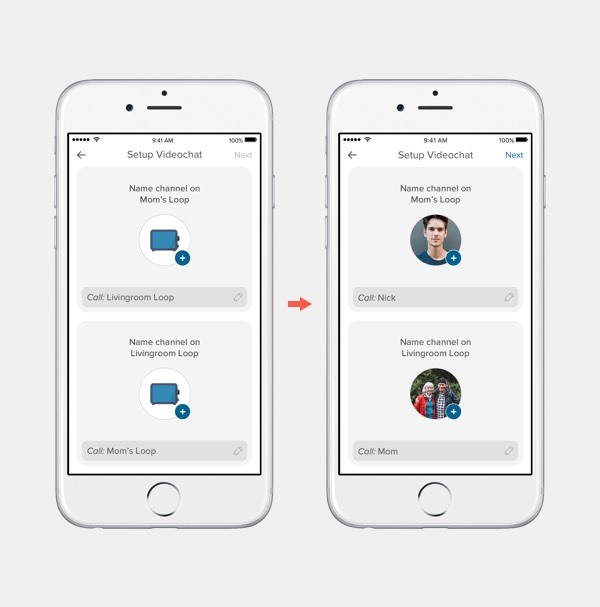 You can now make videochat calls from your Loop and/or phone. 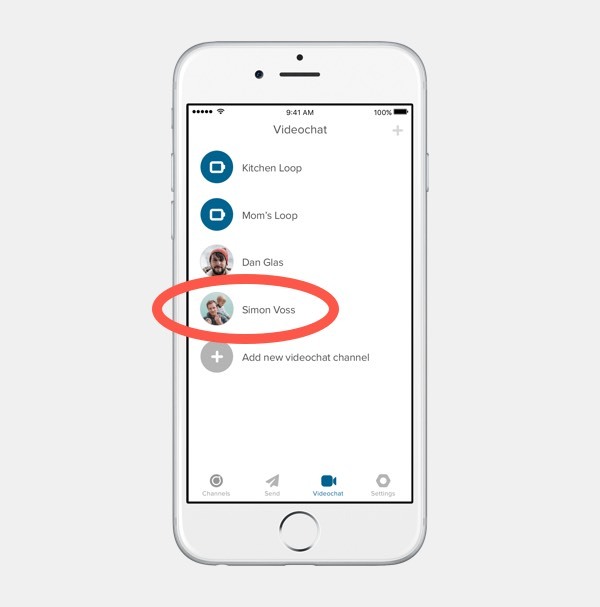 You can make videochat channels on your Loop or from the mobile app. If you’ve set up the videochat channel with your phone you’ll see it in the main videochat screen as seen below. To make a videochat call from your Loop turn the channel knob and scroll until you see the channel, then let go of the knob to make the call.